Bangladesh haven’t named a replacement for Chandika Hathurusingha yet. Courtney Walsh will continue as the head coach of Bangladesh for their upcoming Twenty20 International series against Afghanistan in the northern Indian city of Dehradun in June. 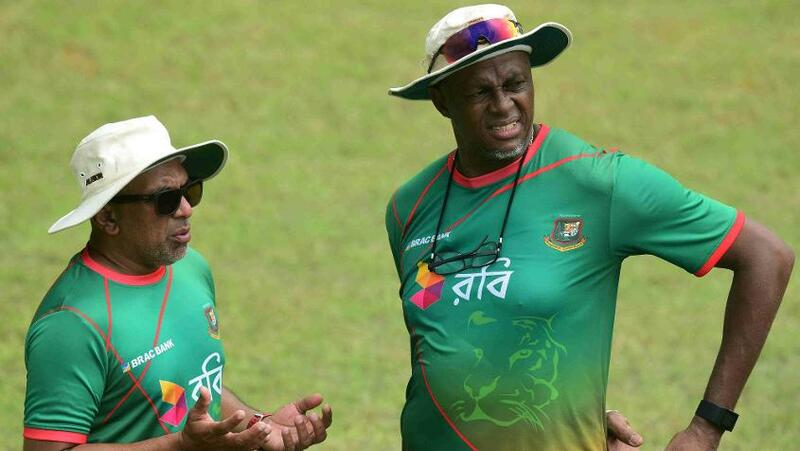 Bangladesh have not announced a new full-time coach since Chandika Hathurusingha left in November 2017 after helping the team achieve some of their best results in ICC events as well as in Test cricket. Under Hathurusingha, Bangladesh beat Australia and England in Test matches at home and Sri Lanka away, achieved their best result in an ICC Cricket World Cup when they made the quarter-finals in 2015, and also qualified directly for the ICC Champions Trophy 2017 ahead of the Windies. Walsh, 55, took charge as the bowling coach of the Bangladesh team in August 2016 and has been widely credited for lifting the standards of the pace bowlers since then. He was named interim head coach when Bangladesh went to Sri Lanka in March this year for the Nidahas Trophy T20 tri-series also involving India. Bangladesh knocked the home side out of the tournament but lost to India in the final. Bangladesh will leave for Dehradun on 29 May, with the matches against Afghanistan scheduled for 3, 5 and 7 June. Shakib Al Hasan will lead the side, and it will be the first occasion that the newly-constructed Rajiv Gandhi International Cricket Stadium in Dehradun will host international cricket.